Ashfords LLP advises Wichelstowe joint venture partnership on planning agreement for 3,000 home scheme. The company is a 50:50 partnership between Swindon Borough Council and Barratt Developments plc, with the homes on the site provided through both the Barratt and David Wilson brands, and it is anticipated that the development will support more than 1,000 jobs in the initial phases. The partnership will combine the strengths of both the public and private sectors to create a high-quality and attractive development. Swindon Borough Council recently agreed the Section 106 planning agreement for the wider Middle and West Wichelstowe development, which will deliver the homes alongside supporting community infrastructure. 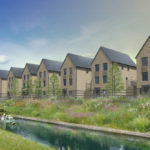 Alongside the completion of the Section 106 agreement, Swindon Borough Council has granted reserved matters approvals in relation to the initial phases, known as the Canalside, which will feature a mix of one, two, three and four bedroom homes. Work is expected to start in late spring. In addition to the 3,000 homes which will be developed over the next 20 years, key infrastructure included in the Section 106 agreement incorporates two primary schools; a secondary school; a variety of open space including playing pitches, allotments, areas of public open space and nature conservation; and a multi functional community facilities building. Ashfords advised Wichelstowe on the terms of the Section 106 agreement. The Ashfords’ team was led by David Richardson, Partner in the law firm’s Planning team, David specialises in planning, compulsory purchase and public law. Kate Topp, Partner in Ashfords’ Real Estate team, continues to advise Wichelstowe on property matters concerning the future delivery of the development. Pictured above is an artist’s impression of the Canalside development.